It was the weekend of my 36th birthday, and I knew that I had to do something a little bigger than my normal pack up the car and go to the woods for the weekend camping trip. Head out a little farther than usual. Get to a place that I really needed to spend some time in. A couple months earlier, as I was trying to figure out where I wanted to go, it dawned on me that I really needed to get down to Eminence, MO and spend some days around there, checking out the natural and historical beauty of the Ozark National Scenic Riverways. The last time that I had floated on the Current River was about to be half my lifetime ago, so I knew it was way past due, and I had to get back there. 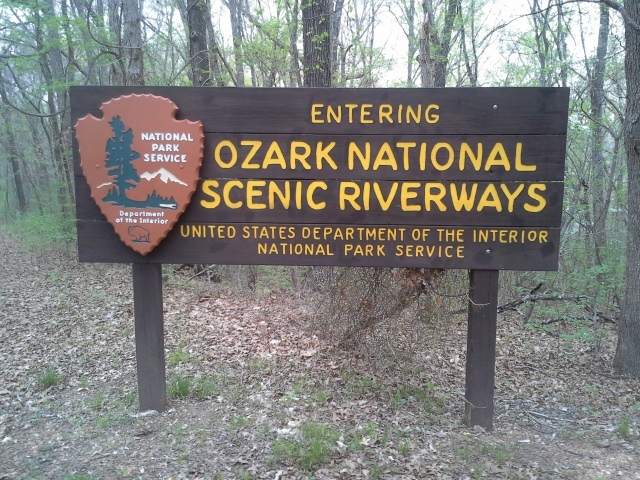 The Ozark National Scenic Riverways is a National Park established to protect the Current River and the Jacks Fork River. Most places (but not all) to go and see within the park can be reached from somewhere along either Highway 19 or Highway 106. 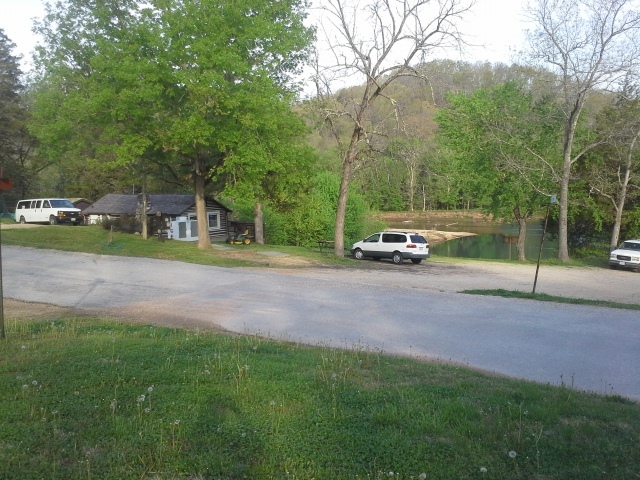 Eminence, MO is at the intersection of the two, making it somewhat at the center area of the park. Among ALL the cool things to do and see within the park, camping is one of the primary activities. The ONSR, as it winds along the boundaries of these two gorgeous rivers, offers an incredible amount of opportunities to set up a tent and stay for the night. There are six main campgrounds, offering electric and non-electric sites, with typical bathroom, shower, and trash facilities. Along with those, there are ten backcountry areas that offer a more primitive experience, and probably have at most a vault toilet. Some sites throughout the campgrounds can be reserved online at www.recreation.gov, which I would imagine is the way to go for a trip in the heart of the summer. Beyond that, most sites are first come/first served. Now like I said, it had been a long time since I had spent a full weekend around that area, so as I was trying to determine where we would stay for this trip, I figured that Two Rivers Campground was probably the place to head to. Where the Jacks Fork and Current come together, just a handful of miles to the east of Eminence, this was probably going to be the best option for a good home base. 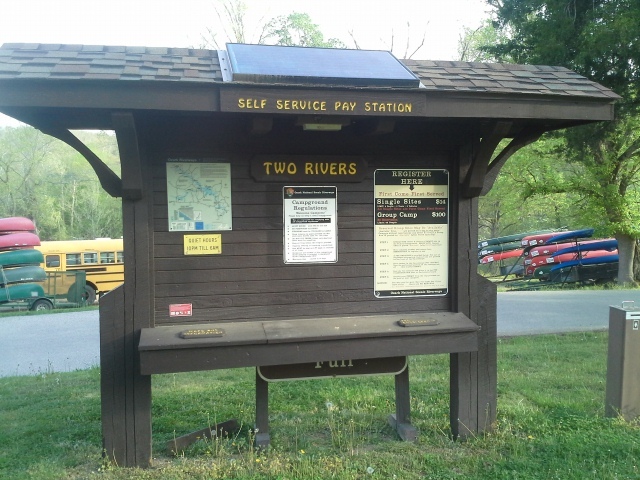 It was close enough to get out and about to see the sights, and it also had the Two Rivers Canoe Rental right there in the campground, with their general store for whatever you may need, and floating services because you HAVE to spend some time ON the river. Not to mention some of the nicest people you could meet at a campground, working there. From the St. Louis area, we took Highway 21 south all the way down to Ellington, MO (around 120 miles), and then right (west) on 106 for about 20 or so miles to highway V. Make a right (north) on V, and the campground is about 3 miles, where the road ends. Two Rivers Campground has 19 standard non-electric sites ($14 per night), 2 group sites ($100 per night), and then 3 sites ($5 per night) tucked away down by the river. There is a shower house and water spigots and dumpsters. There is also river access throughout, with two boat access areas as well. We got lucky as it wasn’t a busy weekend and we had arrived early on Friday, so we got our pick from the best spots. We chose #22, right on the river. In my opinion, the best in the place. Can’t beat sitting by a fire watching the river go by. Waking up to it flowing past, covered in mist as the sun breaks out over the trees. Awesome. When we signed up for a canoe trip along the Jacks Fork for Saturday, the nice young lady working at the general store told us that they could pick us up from our camp site to take us to the drop off at Alley Spring, and that we can float all the way back to our camp site and they will come by and get the canoe eventually. I’m sure in the busier months, that sort of flexibility and personal touch might be understandably a bit more difficult to achieve, but I thought that was really nice on their part. 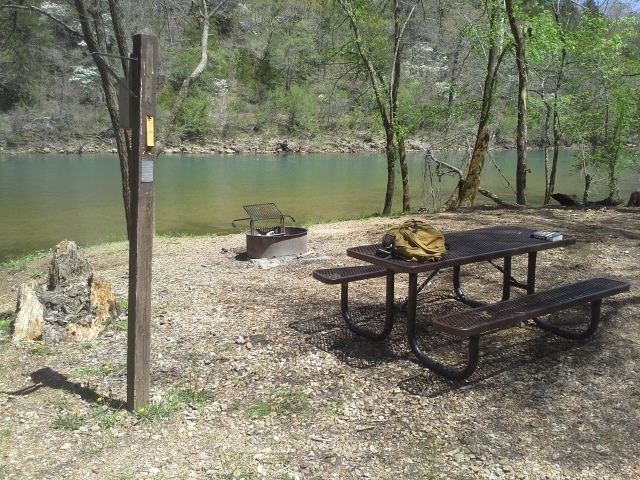 A 14 mile canoe trip, beginning and ending at our camp site. You can’t beat that. The confluence of the Current and Jacks Fork Rivers is something that everyone should see. Sure, it isn’t vast and dramatic and super-sized like one would usually expect two waterways coming together to be, but like everything about these two rivers, the natural beauty of it is something that can only be truly realized floating through it, or standing on the hillside above it. And it IS a striking natural beauty. Again, we were there in late April and we got there early on a Friday. It was peaceful and serene and we were really lucky to get that. I would imagine on the busier weekends that it is a bit more hectic around there. Don’t let that deter you. Just reserve a campsite in advance and get your float trip lined up with the good people at Two Rivers Canoe Rental before you head out that way. We floated on the Jacks Fork from Alley Spring to Two Rivers. It was a 14 mile trip, and with short stops here and there, it took us about six hours. 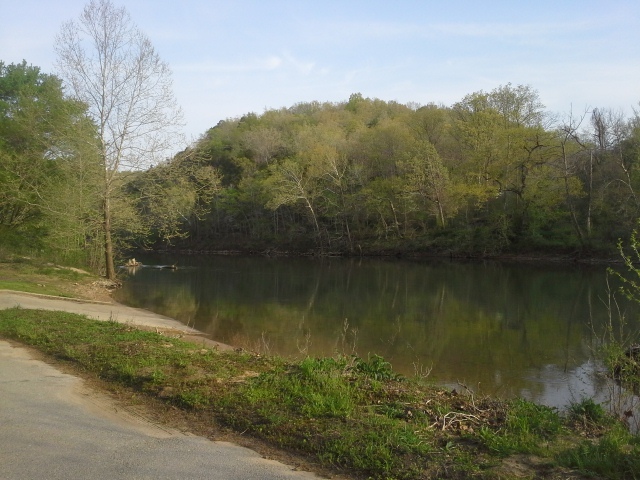 Something that I thought, coming from my recent experiences floating on the Meramec River the last couple of years, is that the water is colder (spring fed), deeper, and faster than what I was used to. Nothing to be alarmed about, but it seemed a bit more wild than what I personally am familiar with. We didn’t tip, and for the most part never felt like we would, but I would make sure my kids wore their life jackets whenever the canoe is in motion. As I am sure happens along all rivers everywhere, the little black flies around the campsites were annoying. They didn’t bother us as much though, after spraying a bit of bug spray and getting a campfire going. Sunday morning though, after I took a shower…well I guess I must have really fancy smelling shampoo. This was an incredible weekend that was filled with exploring, relaxing, and taking in all of the natural beauty of these two rivers for my birthday. 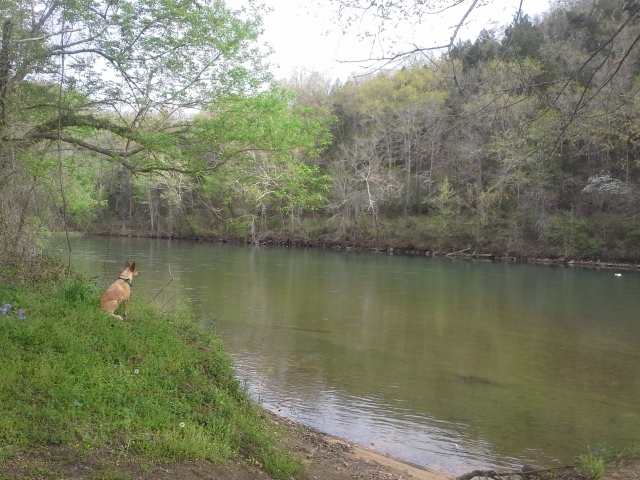 We didn’t get to see anywhere near all that is in the Ozark National Scenic Riverways to see, but we will definitely be back when the next opportunity arises. 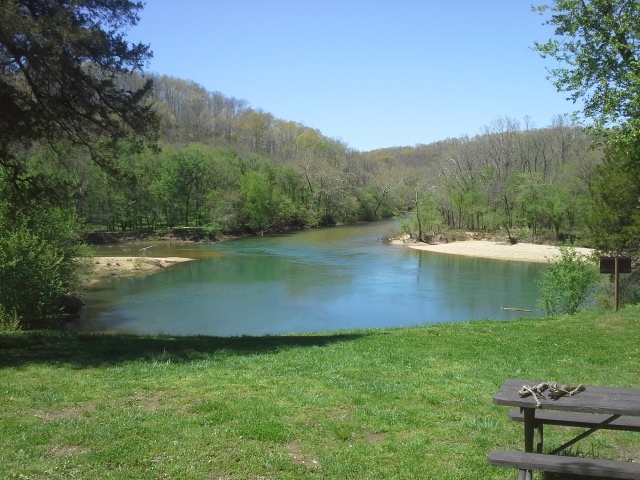 For a first trip there in a long time, at the confluence of the Current and Jacks Fork Rivers, Two Rivers Campground was the perfect place to stay. Hi Gabe, are there any issues with jet boats floating around two rivers? I was thinking of finding a place to camp for a couple days, and then possibly doing an upstream float from there, and even a downstream float the next day from camp. And I’ve never done this stretch before. Hey Melanie! 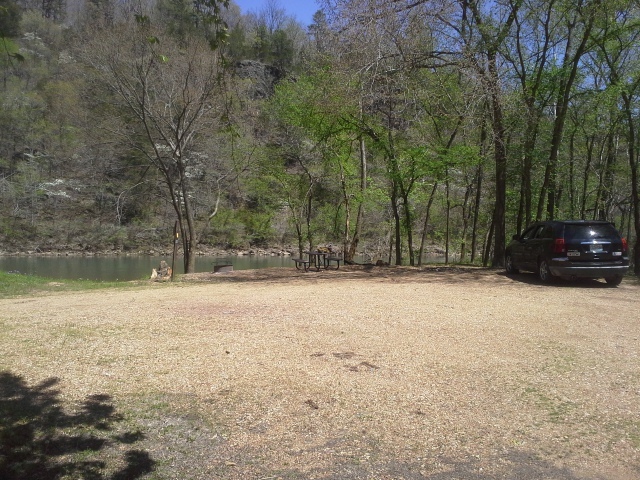 When we camped there in April, there WERE jet boats on that section of the Current River. Not a lot, but it was early in the season. As far as I know they are not allowed to go above Round Spring, but that is second-hand knowledge (please forgive me!). Check out the Facebook group https://www.facebook.com/groups/MissouriScenicRivers/ to get in touch with people that know much more than I do about these rivers. Take care!